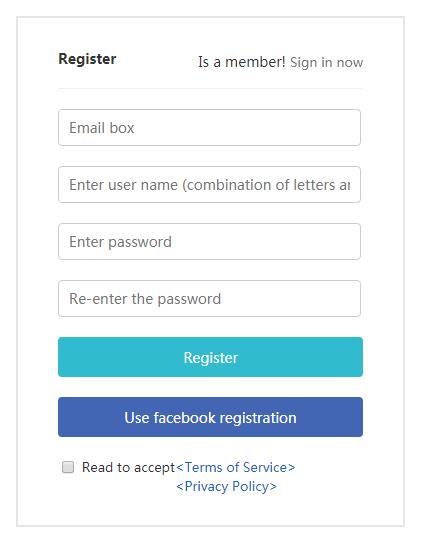 Go to Plus1 today (+1 today) (https://www.plus1today.com), click 【Register】on upper right hand side, follow the instruction and complete the registration process. 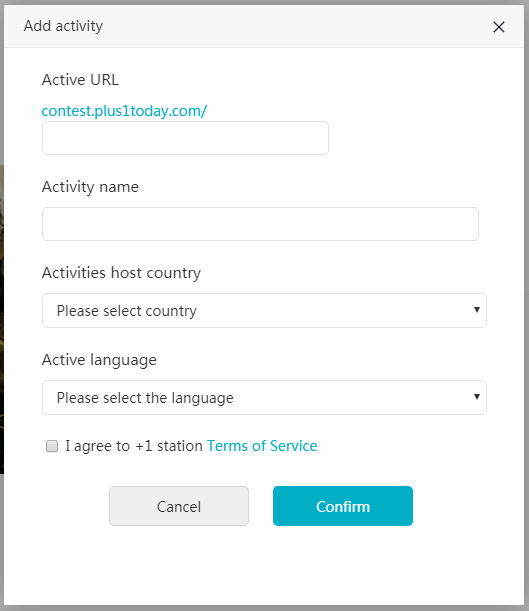 Go to Plus1 today (+1 today) (https://www.plus1today.com), click 【Login】right next to Register button, fill in Email and password set in Step 1. Active URL: at least 4 number digits, alphabets or combination of both; “.”or other symbols are prohibited. Activity Name: Required. 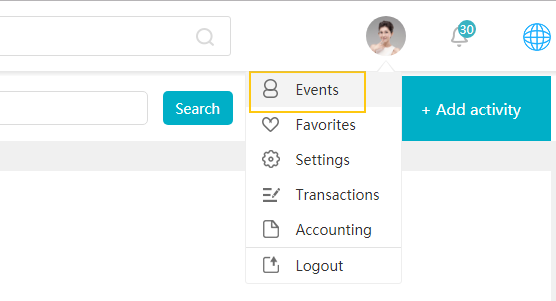 After adding activity, name can be change in control panel. 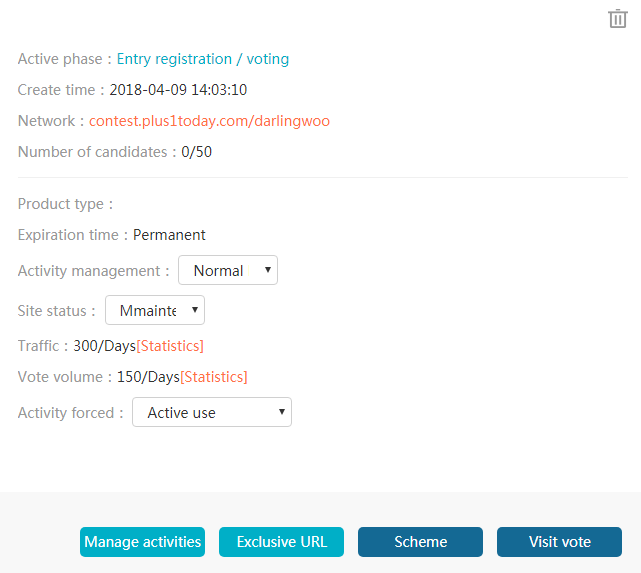 Activity Host Country: Choose carefully, this cannot be changed later. 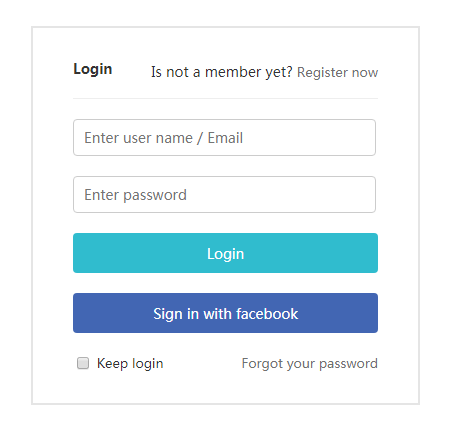 It will affect how users log in. Activity Language: Choose interface language, cannot be changed later.